Every man has a shave of his own. Some like disposable razors (aka. cartridge razors) and ice water, others prefer the services of a personal barber (and why not, after all?). There are those who get berserk attacking their growth with an open blade (straight razor), having switched something by Metallica to full blast. Such a variety of tastes is, rather, a bad token, as there was said once that everything good is good in the same way. Yes, for the majority of male people shaving is an everyday torture, to avoid which they’d sooner deny their beloved ones the pleasure of touching their soft and smooth cheeks when kissing in other cases. Anyways every man needs good shaving and barber supplies for his daily routine. How to start a fight with bristles in the most effective and pleasant way? That’s right, by selecting a proper “tool” and a minimum set of cosmetics for shaving. 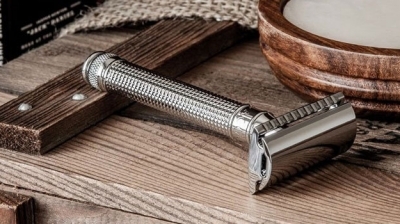 What Is Better Dry or Wet Shaving? It is known that shaving can be either wet or dry, depending on using or not using the water while shaving. 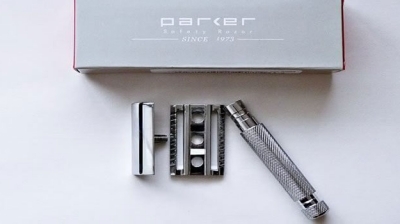 The razor, the successor of the straight razor, is the simplest modern device for wet shaving. It isn’t a rare thing to hear from a man nowadays something like, “No matter how many blades they add, a strait is the best.” Not an ungrounded opinion. 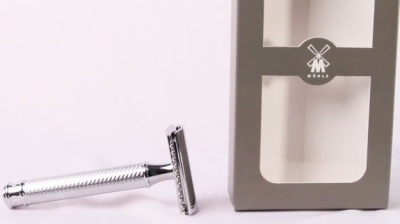 With proper handling, the razor will, perhaps, surpass any Gilette’s “Mach” or “Fusion”. The reason is simple: the skin, even if you have it twice as thick as that of women, must not be hurt. But that’s exactly what happens with every stroke of the razor over the skin, no matter if you do it with a dull single-blade razor or a new five-blade one. And if you want a high-quality shave, you’ll have to pass the razor over the same part of your skin several times. Hence the skin irritation. A good “straight” can cut off hair with the single stroke better than most other types of razors, and consequently damage the skinless. 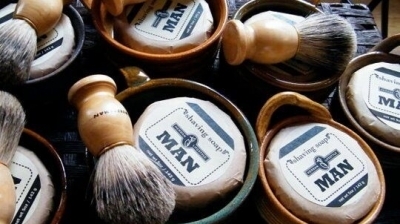 But such razors, first, demand a steady hand and some practice, and, second, are quite expensive – good brands, of course. 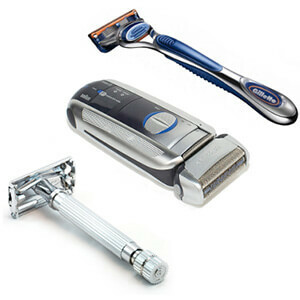 Dry shaving, namely shaving with the electric rotary shavers or foil shavers considered more gentle and convenient. However, this method has its drawbacks: it is impossible to shave with electric shaver as clean as it can be done by using a good razor and shaving foam. And it isn’t a guarantee against irritation, anyway, despite the fact that the shaver’s blades don’t touch the skin directly. 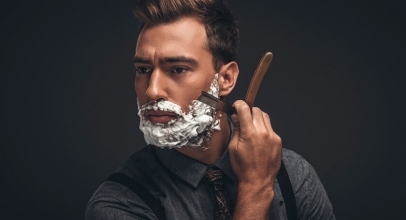 In any case, sociological researchers conducted by manufacturers have shown that most men vote for a wet shave, for warm water that softens the bristle, and for the shaving foam allowing the razor to glide smoothly over the skin. In any case, you’ll need the best barber supplies. 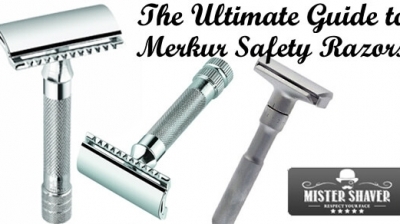 Safety Razor or Electric Shaver? 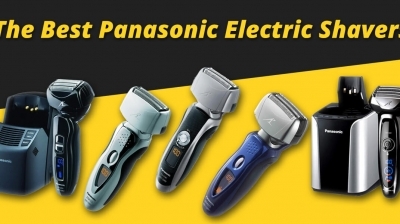 Naturally, this inspired manufacturers to create models of electric shavers for both dry and wet shaving. From that time on the wet shave stopped to be the prerogative of the blade razors, but also became the option of electric shavers. The strong half of humanity has got yet another way to shave: wet shaving using electric razors. These shavers have some advantages over their dry brethren. For example, they are more easy to care for, as it is enough to hold them for a while under the running water from the faucet to make them clean, instead of tedious meddling with cleaning brushes. You can keep them in the bathroom without risking to be electrocuted at the next shaving. And you can even shave with them while actually showering – if that seems to you especially comfortable. 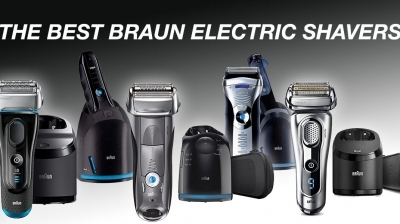 But that’s nearly all we can tell pro or contra electric shavers as such, wet or otherwise. There are some pre-shave lotions, usually alcohol-based, that dry the skin and make the hair stand at a right angle to the skin, to make electric shaving (dry shaving in this case, for sure) cleaner. Try them. And if you choose wet electric shaver, you can use the same foam or gel as for the razor shaving. Some models feature inbuilt lubricant tanks with automatic feed. After-shave care is the same for any type of shaving and should be chosen with the view of individual characteristics of your skin and subjective sensations. 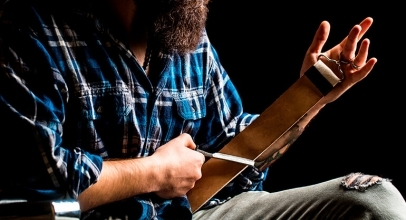 Accordingly, to television commercials, the ones where you can see a handsome man slashing off the thick layer of leather from already shaven cheeks, there is nothing more simple and peasant than shaving with a razor. In real life, things are not that unclouded. Cuts, irritation, pimples, ingrown hairs – that was enough for somebody to say that it is better to give birth once then to shave the whole life. Is there a way out? Of course: let it grow! Just go everywhere with a beard. There is nothing shameful for a man to have hair on his face. And we do respect such choice. Only… it seems to be against the civilization trend, which prescribes the maximum openness of the face – the most informative part of external human appearance. And if you remembered now your girlfriend who won’t dare outside without putting on a sturdy make-up, it was quite beside the point. Yes, a beard can make you look really good but only if it is well trimmed. 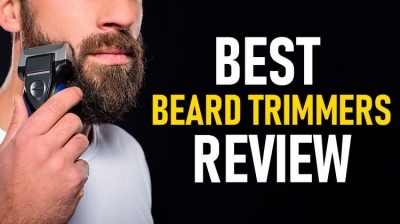 That’s why manufacturers pay a lot of attention to the huge market of the beard trimmers. How to Shave Your Face? 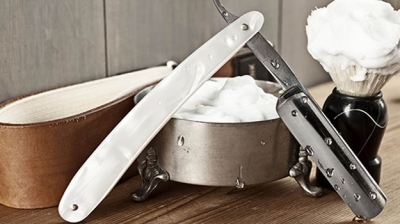 So, it seems you’ll still be able to appreciate some advice on the best wet shaving. First of all, you will need a plenty of hot water. At the stage of getting ready for removing extra vegetation from his face, a man needs to soften the skin and the bristles. This can be done quickly enough by having washed your face several times with hot water. But the more effective, though a little more time-consuming method would be to soak a towel in hot water or steam and then cover your face with it for a few minutes. It will help to cut the bristle more easily and without extra efforts that could traumatize your skin. Then, for easy gliding of the razor over the skin, you will need some lubricant on your face. That is shaving foam or gel. Some prefer to make a solid layer of soap-suds, just as in the commercials, whipping it up with special brushes. For others, it is enough to put some shaving cream on the palm and then apply it to the face with easy circular movements. The lubricating effect in both cases is good enough, so it is the question of tradition more than anything else. We’ll just mention here that the less foam on your face the easier you can control the quality of your shaving. The usual advice is to have a razor as sharp as possible, but from our point of view, the sharpness of the shaving blade has its optimum that could be gained after one or two shavings with the same blade – if the blades are good enough from the first. Too sharp blade, even when you wield it with utmost caution and ease, can cut off not the hair only, but also the smallest, almost invisible unevenness of the skin. Well, after that shaving they will be visible, alright. When the blade becomes dull, for acceptable quality of shaving you have to press it too hard against your skin and get both skin chafes and irritation of hair roots. The most common question is – to shave along or against hair growth? Many men choose the second option implicitly. Really, the shaving is closer that way. On the other hand, it could be too close. Human skin is elastic and sometimes it can buckle under the pressure of a razor to that extent that the hair will happen to be cut below the level of the skin when in normal condition. So it is highly probable that the hair will start growing inside the skin. The consequences are well known to everyone, except, maybe, children. Additionally sharpened by cutting, the hair curls inside the hair follicle (the tiny bulb, from which the hair grows) or simply into the surrounding tissue and remains hidden there for several days, during which the skin is reacting against the intruder in the usual way, with inflammation, pus, and pain. To remove such an ingrown hair one has to warm the injured area by one the above mentioned method, and then pull the hair out with tweezers, preliminary disinfected by the antiseptic solution. Sometimes, if the hair is still not to be seen, you’ll need to apply disinfected pin. Be careful not to make things worse. After such unpleasant operations, you’ll feel every reason to maybe change the tactic, and next time shave along the hair. So, to shave in the best way possible, coat the part of your face you intend to shave with the soapy stuff of your choice. Then take the razor in your hand, and start with cheeks. It is the easiest part of the face to shave. The hair on the cheeks is the thinnest and softest. Having done with it, rinse the razor in the flowing water, or better (as it is more environmentally conscious) in the bowl with hot water. Some people advise rinsing the razor in cold water with a few drops of vinegar (but the skin should be warmed). Try that too. Maybe you’d like it. No harm, anyway. Mind that the pieces of shaven hair can stick between blades or between the blade and the frame of your razor. That results in micro damages of skin and dulls the blades. The main point is, the oftener you rinse your razor the better. Do it after every couple of strokes. Next will be your jaws and chin. While shaving the jaws, move the razor up to down. On the chin hair usually grows straight from the skin, so the direction of movements doesn’t matter. The bristle here is the hardest to cope. After chin come to the neck. Keep the razor upside down and move it upwards. That’s how the hair usually grows on the neck. Next – the final part, the mustache. Shaving it demands, probably, the greatest attention in comparison with other parts of the face. Don’t leave unshaven patches under the nose, but be careful not to cut nostrils’ wings. Such cuts heal very slowly and often leave the scars. Stretching a little your nasolabial triangle with the free hand along with mustache wax can help you. Never try to shave with the razor the hair growing from the nostrils themselves. Use nose trimmers for that. Be careful also not to cut your lips. Having finished the shave, wash your face and look at it in the mirror. Check that you haven’t left any unshaven places. Having missed out a few hairs on your cheek or neck you might pay too dear for your laziness or carelessness, and you really never know when it can happen. If everything’s OK, wash your face with cold water to let the pores close and the possible irritation subside. Mop (not rub) your face with a towel, then proceed to after-shave skin treatment. Traditionally, many men prefer alcohol lotions for refreshing and disinfecting the skin. But that isn’t suitable for a dry and sensitive skin. At least, if you have that type of skin and still want such disinfecting procedure. Don’t leave it at that, but apply some soft cream several minutes later. Otherwise, use some special after-shave lotions, oils or creams. To soften your skin you can use an ordinary cosmetic cream as well. But in this case leave your skin after the shaving to dry and rest for a quarter of an hour, at least. 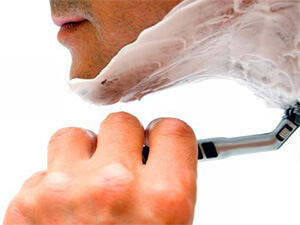 Too oily cream applied immediately after the shave can clog the pores and follicles and cause skin inflammation. And the final advise. Pay attention to the aroma of your after-shave cosmetics. It shouldn’t clash with your usual perfumes, and it should be pleasant to those who you want to please. 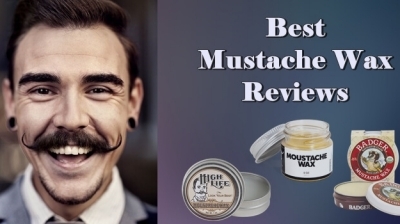 Choose only the best barber supplies and shave cosmetics for men. Have a great shaving! Respect your face and choose the best barber supplies, accessories, and cosmetics. Love yourself!